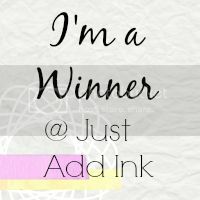 Just Add ink #293….Gift Card! 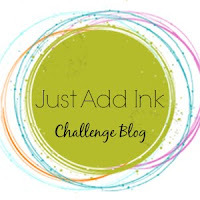 Welcome to our last challenge for the year at Just Add Ink! 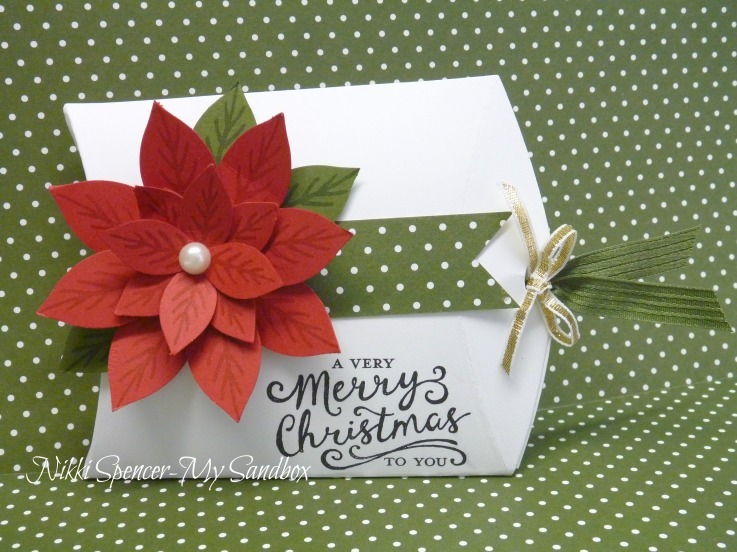 With Christmas so very near, Kim has suggested what is sure to be a popular challenge - that we Just Add….A Gift Card Holder. We would love to see how you are packaging your Gift Cards this festive season - or it may be for a different occasion such as Birthday or Graduation - it is up to you! 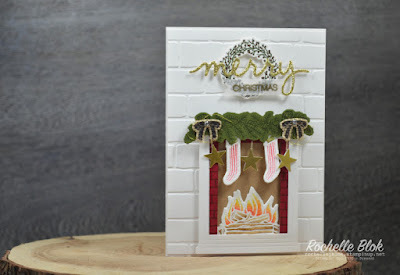 Because of the holidays, this challenge will last for TWO WEEKS and whilst there will be no judging by the Design Team we ask you to share your Gift Card Holders so that we can all appreciate your lovely creations. 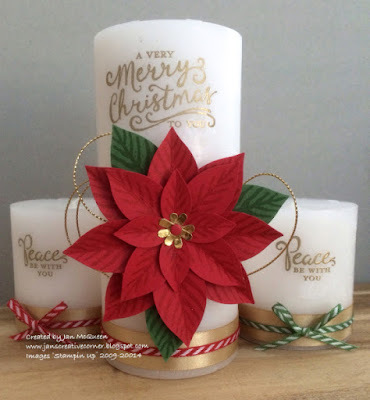 We would like to take this opportunity to thank you all for sharing with us during the year and wish you a very merry and safe Christmas and we look forward to seeing you back again in the New Year when we start 2016 with an exciting Blog Hop! So until then…. 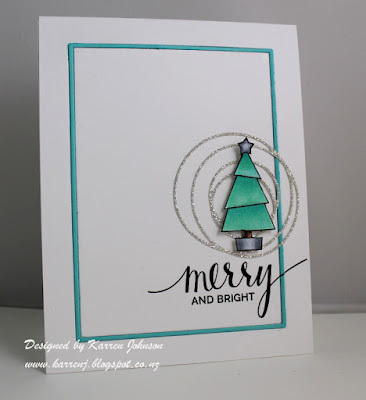 Karren really captured the essence of the inspiration pics with style and simplicity. Stylish and chic. Love the sparkly swirl. The fabulous copic colouring and silver hoops add all the detail needed for this CAS Christmas beauty. 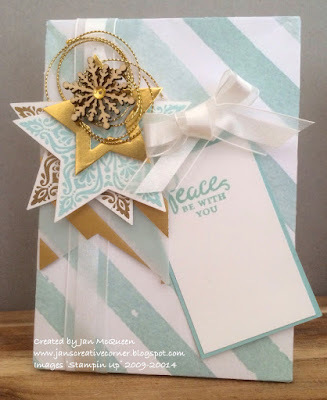 Loving all the little details, stars, washi tape and twine! Teresa's little scene is adorable and full of lovely details. It really made me smile. The CAS style with a hint of sparkle is super cute. 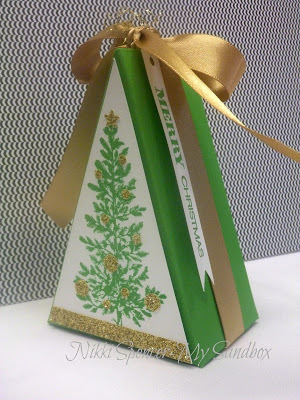 I adore this shaker card and the garland really makes it elegant. CAS but bold at the same time. I love the bauble trim too. And as you can see by the fab design team projects there are lots of options to inspire! Thanks everyone for joining in with our "C" challenge. We had so many lovely and inspirational ways to add "C", it was, as always a difficult task for the design team to narrow it down to our Top Pick and HM's. 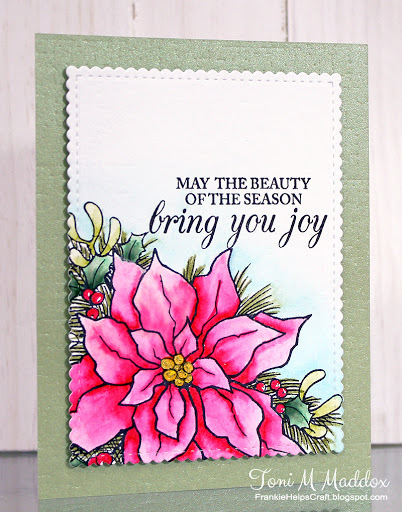 The depth and intensity of Toni's poinsettia was just stunning! Gorgeous bold design and beautiful colouring. Her gorgeous poinsettia scene so reflects the beauty of her sentiment! 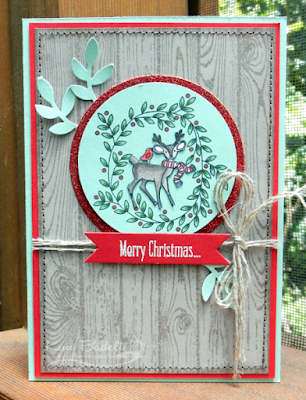 Such a beautiful sponged and spattered background for the Cardinal to take centre stage . 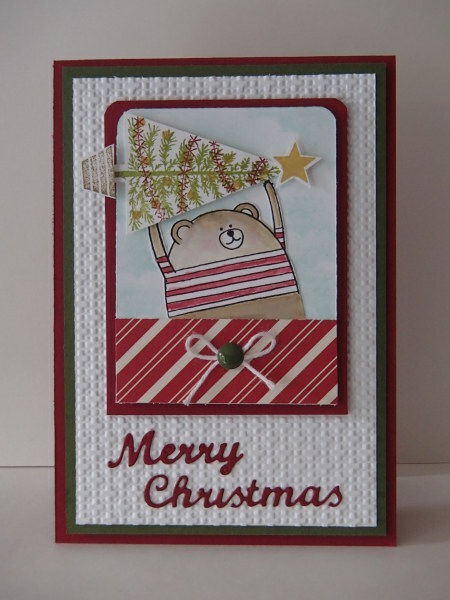 Maura created such a sweet & beautifully arranged Christmas scene for her lovely cardinal. 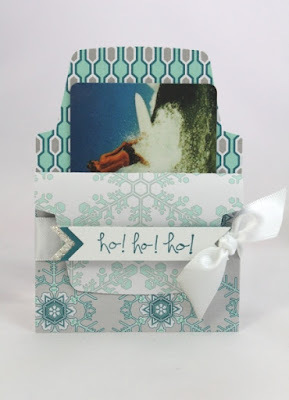 Lovely, modern Christmas card with a fab combination of intense colour & water. 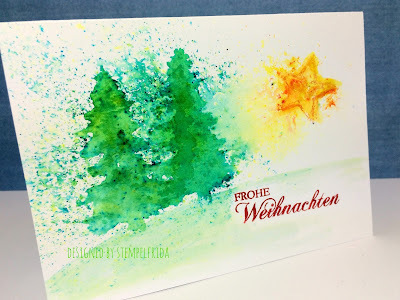 Love the wonderful arty watercolour effects - so unique! this week we have a Challenge that will get you thinking. But I promise we haven't made it too hard. 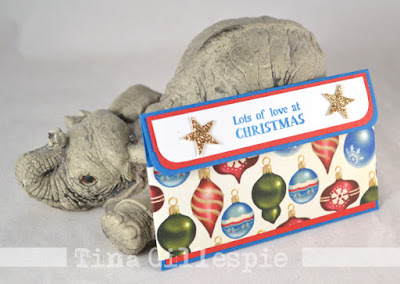 This week Tina is asking us to Just add.....C.
What exactly do we mean? Well we want you to add, as the major part of your project, some thing that begins with C. It can be a colour, a technique, a theme. 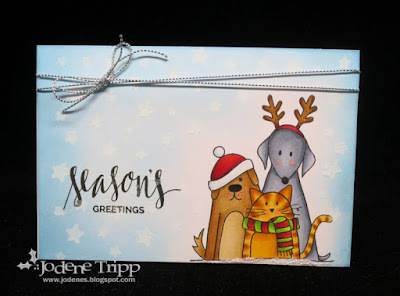 Here are some ideas to get you going.... Christmas, cat, Cucumber Crush, chalk board technique. Weren't the colours Jan gave us last week so bold and vibrant! What amazed me was how versatile the colours were and you all did a great job of showing us that. Thanks for sharing with us at this busy time of year! It's never easy to pick a winner but this week we settled on Julia Quinn for this vibrant flower filled card. 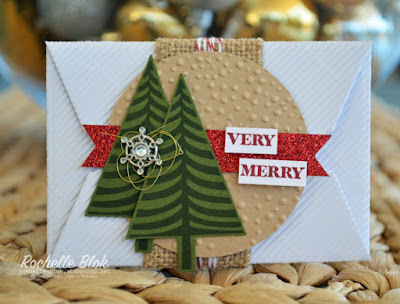 I love the focal panel in the centre of the card, it really pops! Julia's bold, summery card really made the challenge colours shine. 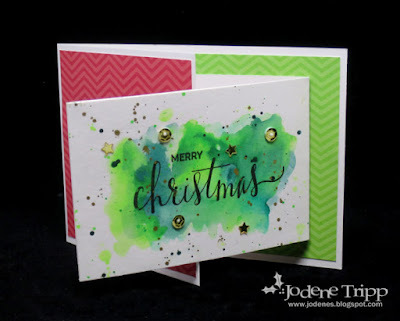 Love the way she has used all those bold colours in just a section of her card! 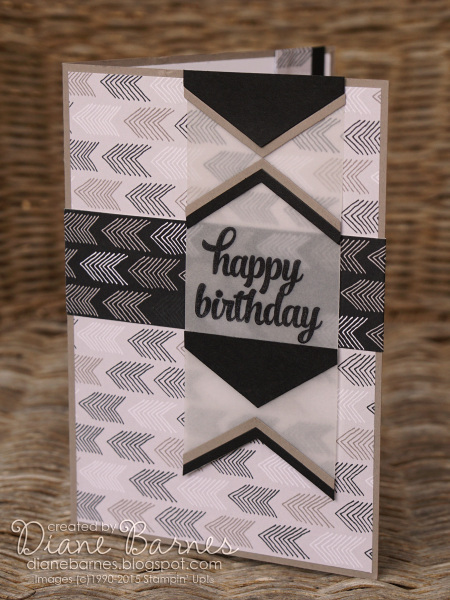 Her beautiful design adds a lovely softness to the colours. This is fab! She has used the perfect images to match the challenge colours! Clever use of the colours, the Butterfly pops off the page. Absolutely love the way you used the challenge colours and that sentiment is gorgeous!! I really like the softer tones of the colours used on this CAS design. 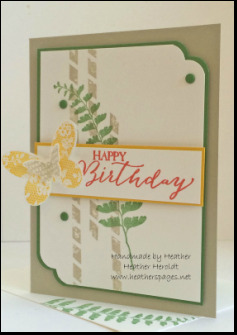 What a stunning card - so clean and such a gorgeous flowers.